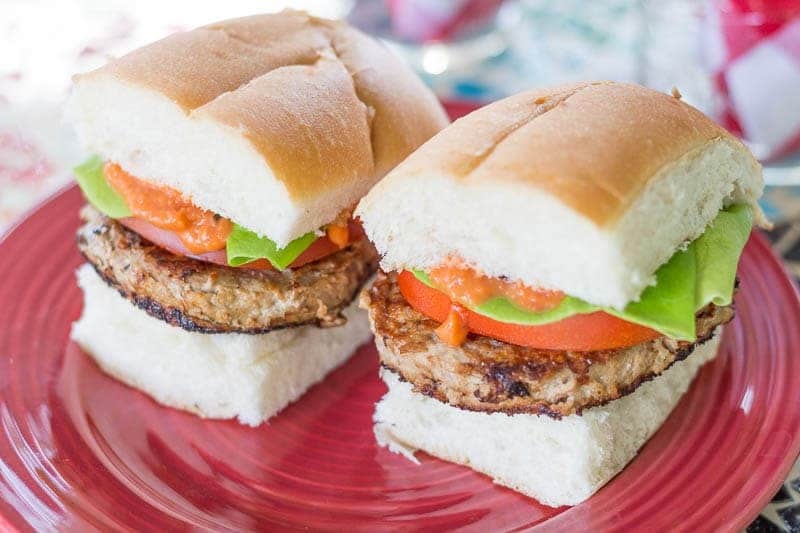 This Italian turkey burgers post was sponsored by Shady Brook Farms turkey brand as part of an In-Home Party Activation for Influence Central. I received complimentary products to facilitate my review. You have no idea how happy it made me when the cold weather went away. Not only did I gleefully pack away all my jackets and wraps, but I dusted off the grill and got the back porch all squared away for parties. Then, I got to host a party with a little help from Shady Brook Farms! 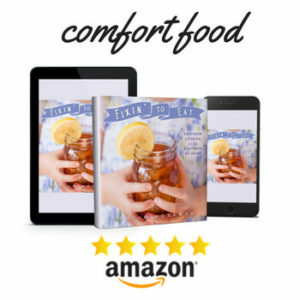 They sent me a beautifully engraved wooden serving tray, Mason jar glasses, and linen napkins, plus spice jar party favors and recipe cards to take home. We fired up the grill promptly and prepared the turkey burgers and sausages. While everyone was waiting for the food, we sipping our sweet iced tea on the back porch. One of us staked out the hammock, while everyone else claimed one of the low wooden sofas or an old-fashioned rocking chair. The aroma of grilled turkey mingled with the fresh breeze and the subtle citrus scent wafting from a nearby kumquat tree. I shared what I had learned about Shady Brook Farms products, such as that they come from more than 700 independent family farms, and that they are from turkeys raised without growth-promoting antibiotics, yet are still easy on your wallet. Learn more here. 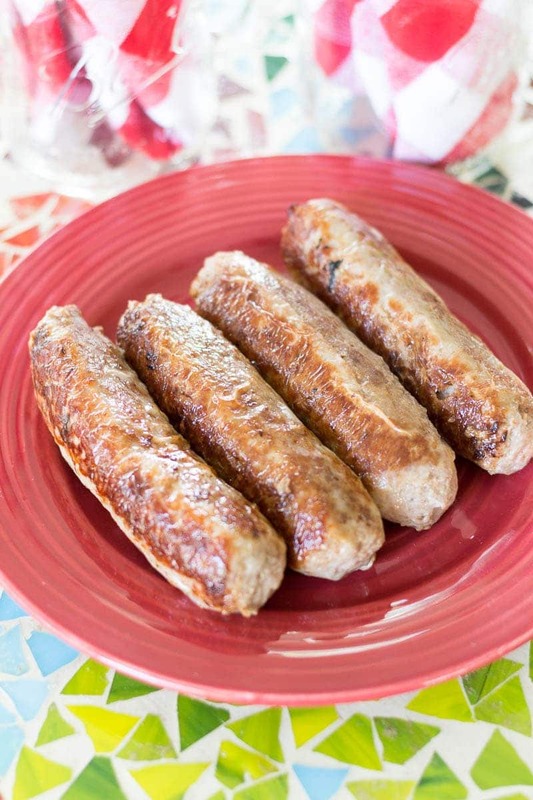 With a choice of ground turkey, turkey sausages, and turkey brats, you’re sure to find something perfect to throw on the grill! The outdoor dining table was all set up with Mason jar glasses and checked napkins. 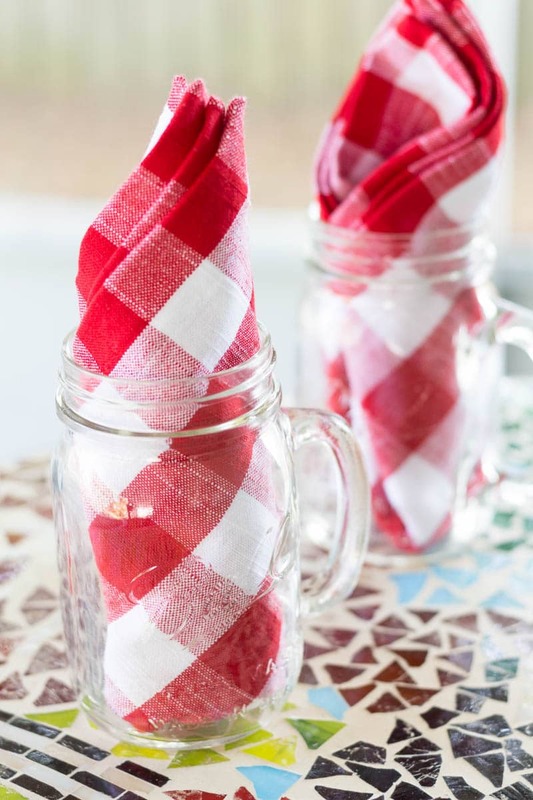 There’s nothing like checked napkins to make a party feel like a real outdoor event. I pulled out some festive red plates for a coordinated look. If you haven’t already entered to win a serving platter of your own, scroll up to the top and enter. It would be a beautiful addition to any gathering! Everyone really enjoyed the juicy turkey brats. It’s a good thing I bought two packages, because they were snapped up in a flash by our hungry guests. 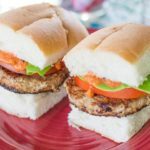 These can go on classic bratwurst buns, topped with a squirt or two of deli style mustard, or get creative with these awesome turkey recipes. Although some of us (I plead the Fifth on this one) simply picked one up with a fork and started nibbling. Finally, the star of the show appeared. The Easy Italian Turkey Burgers were a hit, too! We topped ours with a little vodka sauce. You could also try a drizzle of alfredo, or swap out the classic lettuce for basil leaves. I hope you enjoyed reading about our party as much as we enjoyed having it. 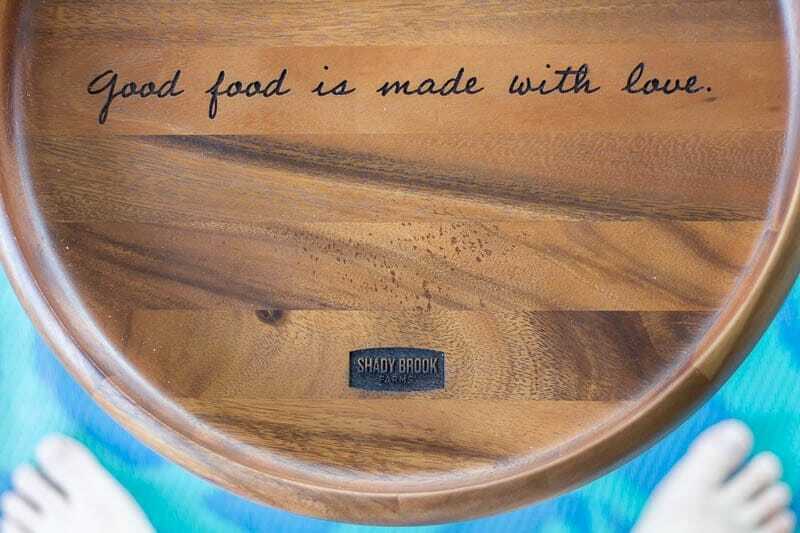 Be sure to enter the giveaway at the top of this post to win your own serving tray and Shady Brook Farms turkey product! 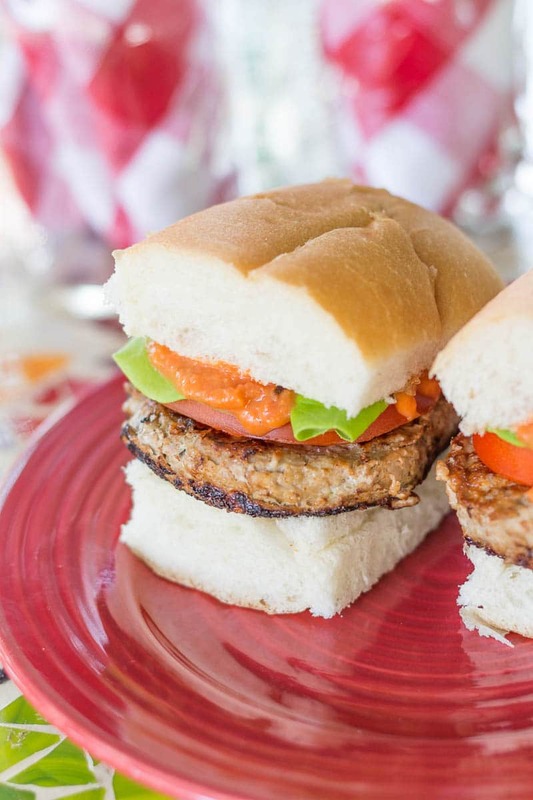 Make these easy Italian turkey burgers with just three simple ingredients! They're perfect for tossing on the grill or in the skillet to make dinner fast. In a large mixing bowl, combine the ground turkey and the breadcrumbs. Drizzle in the olive oil. Stir until well combined. Form 5 patties. Cook over medium heat on the grill or in a skillet for 5 to 7 minutes on each side, or until the internal temperature reaches 170F as read with a meat thermometer. Serve immediately. Top with vodka sauce or alfredo sauce if desired. Shady Brook Farms turkey products are available in the following states: ME, NH, VT, NY, NJ, MA, VA, RI, CT, PA, MD, DE, WV, NC, SC,GA, and FL. For those outside of those states, look for Shady Brook Farms’ sister brand, Honeysuckle White. Shady Brook Farms is all about turkey with a purpose. To learn more, visit here. I wish these were avaible in Michigan. 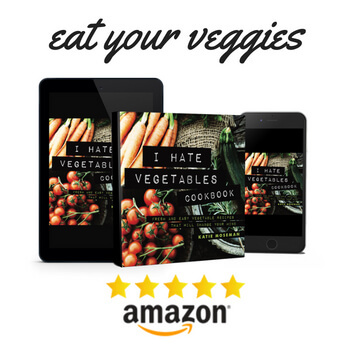 I have a teenage daughter that doesn’t eat dairy or red meat. We cook a lot of turkey. So, we’re always looking for something new to try. I wonder if their sister brand, Honeysuckle White, is available? What a simple recipe! I am going to have to try it. I love ground turkey and use it frequently in cooking but I have never thought about using it to make burgers. This recipe is really simple and will be going on my must try list. I love anything that is healthier to eat and full of less fat. I hope you get to try it and like it! You have motivated me to serve turkey burgers this weekend. Thanks. If it’s easy then it’s for me! 😉 I have been wanting try Shady Farms, but can find it where I normally shop. I need to look into where it’s sold more closely. I love grilling out this time of year. So fun to eat outside and enjoy the nice weather. Exactly. It gets hot here in Florida, but we get a nice breeze in the evening. I love Honeysuckle White which I see is their sister brand. Would you believe that I’ve never had a turkey burger…. Turkey isn’t actually very common at all in New Zealand so it’s quite expensive! We only ever have it at Christmas time and even then only every now and again as it’s so expensive. These burgers sure do look delicious though! Yes, turkey is quite the American bird. 🙂 Thanks for the kind words! Your burgers sure are making my mouth water! Ground Turkey has become a favorite of ours. I love that it is a healthier option, but doesn’t sacrifice flavor. I will be adding this simple meal to our menu plan! Super! I hope the family enjoys it. These look super yummy and what a great giveaway! 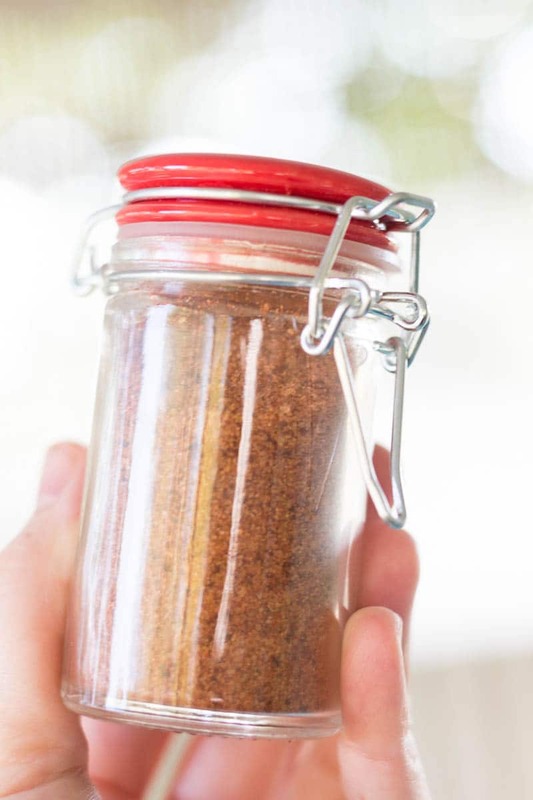 I love a real quick recipe that not only tastes good but changes things up a bit.. This looks like a must try for my family. We love burgers and everything Italian. I am going to put these ingredients on my shopping list and make a plan for this tasty meal! mi soon. I was looking forward to trying turkey brats! 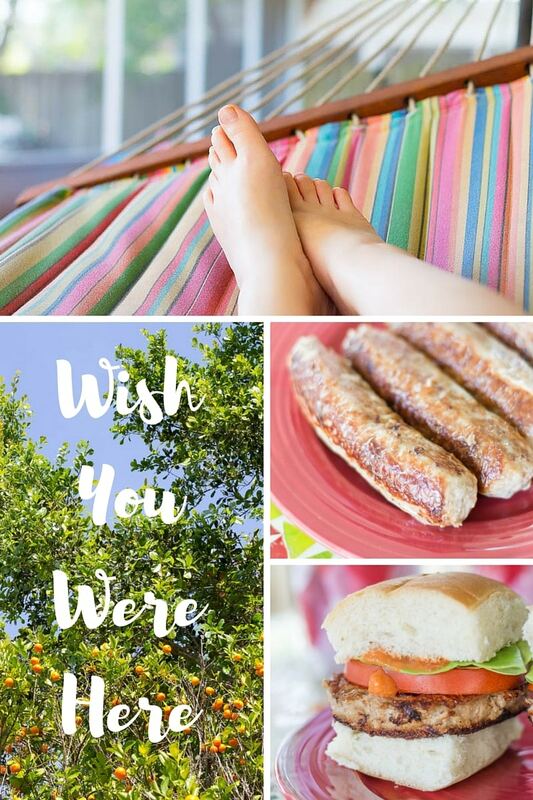 Your burgers look delicious too, but I’m always a sucker for a brat. I love brats, too. They went fast at the party. Love Turkey! 🙂 & these turkey burgers look amazing – perfectly juicy! I never started eating Turkey until I moved to Australia (my family doesn’t like Turkey – but me and my husband do!). Mason Jar glasses are the best too! 🙂 I guard mine with my life when we take them out! This sounds like the perfect picnic! Thank you! It was fun. I usually shoot pictures indoors, so it was an interesting variation on my usual setup. I have never tried turkey burgers, but I enjoy traditional turkey and turkey sausage. I love, love, love, cheeseburgers, so I’d be willing to give a turkey burger a taste test. Plus, anything that goes on the grill is hubby’s turn to cook. 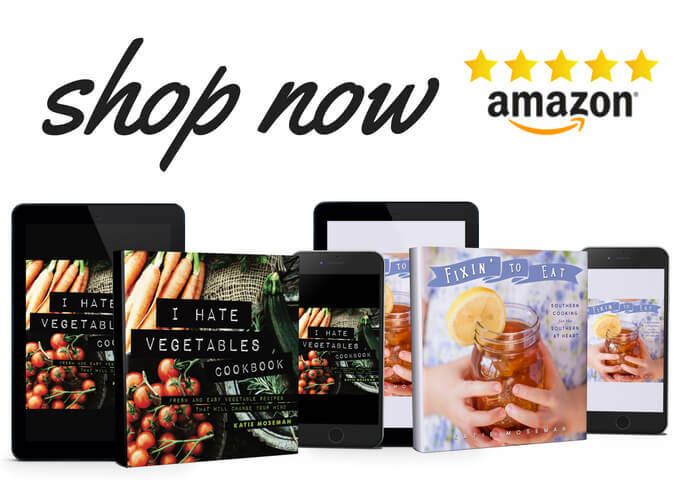 Turkey is one of my favs so I will try these products! We (unbeknownst to my family) use turkey all the time. 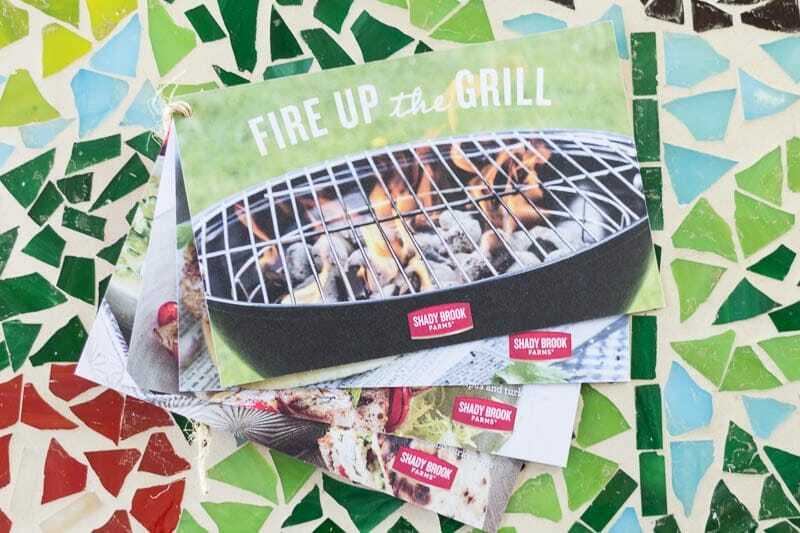 Your burgers look great & can’t wait to try them! Your post looks like you had a great time in creation as well! It was a great time! Like I said to Dini, I usually take pictures indoors, so this was a different approach. Lots of fun!